Berlin - Two of the Bundesliga’s most traditional and passionately-supported clubs face off in the Olympiastadion on Matchday 11, when Hertha Berlin host FC Schalke 04 in a fight for fourth-place (kick-off 15.30 CET). The Berliners’ home record speaks for itself. In their six games this season, they have picked up twelve points from a possible 15, the only stain a a 1-0 loss to VfB Stuttgart on Matchday 5. Their home victories have played a pivotal role in them scaling the standings, and although their form on the road has been less imposing, the overall experience has not been a negative one, particularly against FC Bayern München last week. Despite Luhukay recognising Schalke’s “good defence”, Keller doesn’t see it quite that way. “Unfortunately we’re making too many individual errors which are leading to goals,” said the 42-year-old ahead of this clash with “strong opposition”. Furthermore, Schalke have hardly inspired confidence on the thier travels this season, conceding over two goals per game, and only picking up two wins, most recently on Matchday 9 in the dying seconds against Eintracht Braunschweig. Roman Neustädter scored the winner, but part of Schalke’s recent mixed form can be attributed to the absence of the underrated Marco Höger, his usual partner in holding midfield. 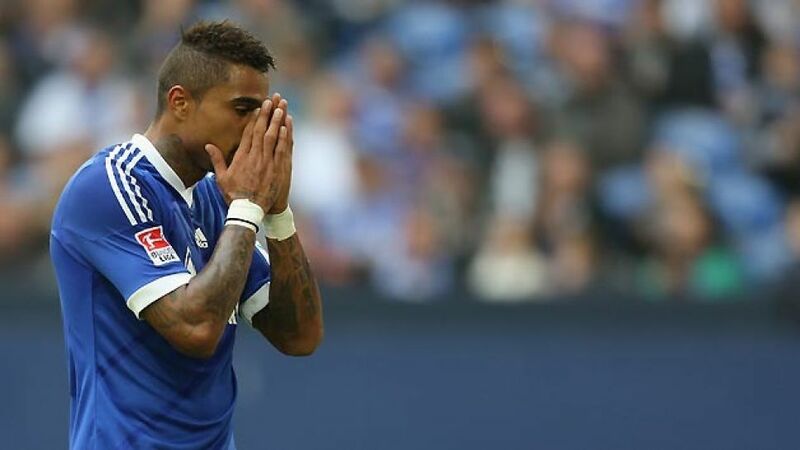 Former Hertha youth teamer Kevin-Prince Boateng, who has had a marked impact on Schalke's fortunes since joining the club, is still a doubt to feature against his former side due to a recurring knee injury. While Schalke’s bad form is compounded by injuries, Hertha’s good form is aided by a near-clean bill of health. “Only Alexander Baumjohann is unavailable for this weekend,” said Luhukay, who is expected to bring back club joint-top scorer Sami Allagui in place of Tolga Cigerci on the right-flank.